Liquidation is a term you normally associate with a company that can no longer pay its debts and pay its creditors. The company often has plenty of assets and orders on the books but can’t liquidate their stock or assets in order to free up much needed cash. This is then causes a severe cash flow problem. A Liquidator is then called in to try and sell the company or by liquidating assets to pay off the creditors. If this action ultimately fails the company goes into administration and is wound up. There are certain legal criteria a company must meet before they can go into liquidation, or be forced into liquidation by a Creditor. A solicitor will be able to give advice on these requirements. A point worth noting is that even solvent companies can be liquidated and wound-up. There are two main levels of liquidator. They both have the same goal but their appointment is from different places. An official liquidator is a registered liquidator with the ACIS and is ultimately a specialist accountant. They are appointed by the courts. A registered liquidator is a registered liquidator with the ACIS and again is a specialist accountant. They are appointed by anyone except the courts. Once appointed it is the liquidators job to protect the interests of the creditor. This will mean that the assets may be sold to raise money, the company is sold, or a winding-up order is served. Either way, once a company enters liquidation it is the end of the company as it stands. However, if during the time that the liquidator is in control they deem it in the interests of the creditors for the company to continue to trade, they will allow this to happen. Likewise the reverse is true. The Directors of the company going into liquidation must comply with the liquidator’s requests. They must also provide a number of official forms to them. The forms required to be filled in by law are the Report to Affairs and a Director’s Questionnaire. 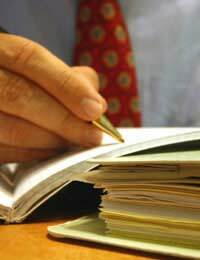 All the companies’ books must be provided along with all up-to-date trading records of the company. If a director does not fully comply with the liquidator under the law there are recognised offences that they can be prosecuted for. The liquidator will start official proceedings into the trading of the company. From there he must reach conclusions on why the company has gone insolvent, if any trading can be overturned and cash recovered, if anything illegal has gone on causing insolvency, establish who the preferential creditors are and if there are any charges to be made against the directors. All findings that might infer illegal practices must be reported to the Director of Public Prosecutions (DPP). If the company has incurred large debts the directors won’t have their personal assets removed, only those belonging to the company. However, if the directors have removed items that belong to the company the liquidator will seek to recover these along with any loans that the directors have taken out via the company. Also, if during the investigation by the liquidator they find the director guilty of illegal trading – trading knowing you can’t meet the debts – the liquidator will use their powers to recover the money from the director and bankrupt them personally. Liquidation has no legal time limits but the liquidator will try to do what is necessary as fast as possible in order to protect the secured creditors’ interests.